(Newser) – Monday saw the start of UN talks focused on a noble goal: banning nuclear weapons across our planet. It was the result of a 2016 vote that saw more than 100 countries in favor of a UN General Assembly resolution to kick off such talks, which are aimed at ultimately establishing an international treaty that would prohibit the development and possession of such weapons, CNN reports. By extension, using them would also be banned. The AP reports Austria, Brazil, and Ireland were at the forefront of the effort. Wondering where the US is? Boycotting. US Ambassador Nikki Haley was present Monday—but remained outside the General Assembly hall with other boycotting nations in a sign of opposition. 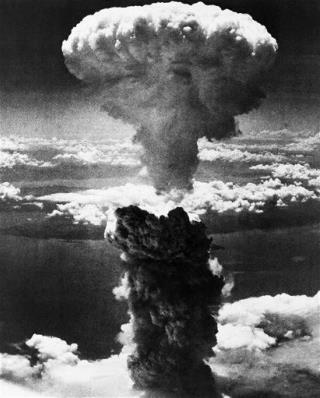 Nuclear weapons have progressed and moved on to a smaller, more precise target. Which makes them even more deadly. Because we think we are in control. Too late, Pandora's Box has been opened and to disarm now is suicide given all the rogue countries out there like North Korea, Iran. Don't think for a minute they wouldn't use nukes if they thought they could get away with it.